Abstract: Vivian Malone Jones was born as Vivian Juanita Malone in Mobile, Alabama on July 15, 1942. Vivian Malone was one of the 1st two African American students to enroll at the University of Alabama in 1963. The second students name was James Hood another black student from Gadsden, Alabama. On June 11th, 1963 Vivian Malone and James Hood accompanied by United States Deputy Attorney General Nicholas Katzenbach and a 3-car motorcade with federal marshals arrived at the University of Alabama to enroll the two students. The group was received by a large crowd of students, faculty and local onlookers who wanted to know if what Judge Grooms ordered would come true. When they arrived Governor George Wallace blocked their entrance into Foster auditorium. Despite earning high academic achievements from the university, Vivian Malone never received a job offer in Alabama. She later joined the civil rights division of the U.S. Department of Justice and served as a research analyst. While in Washington, she attended George Washington University and pursued a Master's Degree in Public Administration. She took a job as an employee relations specialist at the central office of the United States Veteran's Administration. She was appointed to a position as the Executive Director of the Voter Education Project and worked towards voter equality for minorities, thus assisting millions of African-Americans to register to vote. She later became the Director of Civil Rights and Urban Affairs and Director of Environmental Justice for the U.S. Environmental Protection Agency, a position she held until her retirement in October 1996. Vivian Jones was a leader, trailblazer, and historical marker of the racial shift of the University of Alabama, her work will not go unnoticed, and her legacy will remain. The purpose of this documentary was to show that students who attend The University of Alabama unaware of a very important part of history that was made. 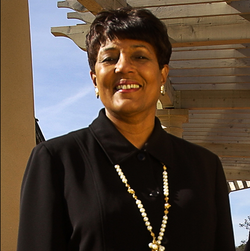 The interviews that were conducted were used to at random ask different students, faculty/staff and alumni their opinion and known information about Vivian Malone Jones. After all interviews were conducted we concluded that many people did not know of the legacy that was made by Vivian Malone and James Hood. We wanted students and others to learn about the legacy of integration that Vivian Malones entrance into UA created. "Governor George C. Wallace's School House Door Speech." Alabama Dept. Of Archives and History. N.p., 12 Dec. 2012. Web. <http://www.archives.state.al.us/govs_list/schooldoor.html>. Falk, Lonnie, and George Fletcher. "Wallace Tells North They Are In Glass House Crimson-white (Tuscaloosa, AL), June 13, 1963. Shamblin, Bill. "Over 300 Newsmen To Get Red-Carpet Treatment By UA." Crimson-white (Tuscaloosa, AL ), June 9, 1963. Vodantis, Despina, ed. "The Crimson White." Vivian Malone Back 41st ser. 81.Election Special (1972): 1-16. Web. Clark, E. Culpepper. The Schoolhouse Door : Segregation's Last Stand at the University of Alabama. New York : Oxford University Press, 1995., 1995.